Skye kept walking along the edges of the street, staring ahead of her. "Toots? ", she simply replied. Not giving him time to answer, she continued, "Yeah, sorry. It's just that... someone was there, and...and", she couldn't quite put her thoughts into words, after all, she didn't even know what happened back there herself. "Nevermind. As for a plan, I believe right now it consists of not being captured by the Order", she commented dryly, clearly indicating she didn't have a plan. Then she realized that this man now too was wanted and would be restrained and arrested without question. She shot him an apologetic look. "Sorry I dragged you into all this, but yeah, I would stay away from the Order for now." She unconsciously picked up her pace as a shiver ran down her spine. It didn't take long before her thoughts were clouded again by the mysterious voice that had spoken to her earlier. Who was it? And how did-? She was quickly lost in her own thoughts again and because of that she almost forgot to actually tell the man her name. Almost. "It's Ms Ach-", she stopped, sighed slowly and shook her head. "Skye. Call me Skye. And you are?" Varas sneered at Delsin Kessler. She was quickly losing her patience as the girl was set to escape. “Out of my way!” she muttered, pushing him with a gloved hand, not firm enough to send him flying but enough of a shove to say “I’m in charge here.” Walking quickly and filled with enough adrenaline-fueled hubris to not call for any backup, Varas positioned herself within range of the fugitive and her new companion as they attempted to flee. The charade was over, thank goodness as she wasn't a great actress. Using Force Statis, the brunette Knight attempted to hold both Skye and Jim in place so she could catch up to them. Jim stopped suddenly. He couldn’t move. He used his eyes to look over to Skye. “Kark.” Jim muttered to himself. First Order force user. The one thing he didn’t want to run into. He had suspicions at the bar after watching Skye seemingly talk to herself. The force user caught up with the two and gave Jim a choice. He could get away with no problem. It wasn’t too late to back out. At this time a group of citizens began circling the two frozen people. “Ladies, ladies.” Jim said charmingly, “Can’t we talk this over at the cantina like civilized adults?” Jim chuckled. He was sure the first Order agent wouldn’t find this amusing but he needed more time to think of a way out. But that didn't matter now. Skye's thought became clouded with confusion at first, before she realized someone was holding them in place using the Force. When she had realized this, the confusion turned into all kinds of rapid thoughts about how to escape, yet she couldn't think of a single valid way. She calmed down a bit, trying to focus on what was happening. That voice, and that- that presence she sensed, she recognized them both. Skye took a little while to collect her thoughts, surrendering herself to the woman's grip for a while. That voice, it was the one she heard when no-one was around to be heard- and that presence, it was the one she had felt at the cantina. Then Skye started to continue resisting the woman's grip, slowly moving as though the air was a wall she had to push away. She managed to slightly turn her head so she could just see the man out of the corner of her eye. "I appreciate the idea, but don't get yourself killed", she whispered, hoping the woman couldn't hear them. "I'll live through it", she added, still firmly resisting. The Tusken human walked among the streets in the impressive city. He's never really seen anything like it. The height, the style was all so neat to him, and here he was thinking Mos Eisley was the biggest city in the galaxy when he saw it. Then again could anyone really blame him, most of his life was in a Tusken clan in the desert. From what he was hearing, this possibly wasn't even the largest city. They say that there's a whole planet that's one big city. The idea was ludicrous, but after spending some time here he was starting to believe it. But suddenly during his walking, he felt something in the force. Like there was some kind of concentration of it somewhere close by on the street. A'Runda could see that there were some people starting to gather around, as well as backing away. Some must not want to get in trouble for sticking around. Becoming a part of the small gathering he could see through his mask what looked like a soldier using the force on two individuals. This was certainly were the sense to the force was coming from, and things weren't looking all that great. “Oh wonderful. Your mouth… still works,” Varas griped with a dry shake of her head. Since the fugitive appeared to want to stick by her companion like holomovie hero, she let the pilot out of his Force prison. Mind tricking him would take too much concentration and time. It was easier to bash him against a wall, so that’s exactly what she did with a burst of telekinesis from her fingertips. If he put up no defense the smooth-talking lothario would feel himself lift off his feet with the force of the invisible attack and fly into the nearest object. The woman resisted her statis prison, but Varas’s powers had been honed and molded from endless training by her father over the last few months. While she was not as strong as a Master of Ren, she was well on her way to becoming one of the more elite Force minions working in complete loyalty to Sieger Ren. The brunette Knight stood now before Skye, her hand hovering over her saber. The Force sensitive Tusken had not registered yet with Varas, other than a subtle shift in the Force, like the change of wind direction. Edited by Varas Kyrel, 12 January 2018 - 06:18 PM. Jim was released, was it that easy? Maybe this was his chance to escape.. Suddenly with one swift sweep from the First Order force user. He was flung to the wall. It was as if a huge hand backhanded him. Jim’s head slammed into the wall, giving him a concussion and causing him to fall in and out of consciousness. When he was awake he checked himself of his injuries. “Concussion, one, maybe two broken ribs...” Jim mumbled to himself regaining his self. This was not looking good. As he struggled to get to his hands and knees he looked into the crowd looking for someone, anyone to do something. He looked at the crowd, a poor Twi’lek man, a shop keep, a Tusken Raider? 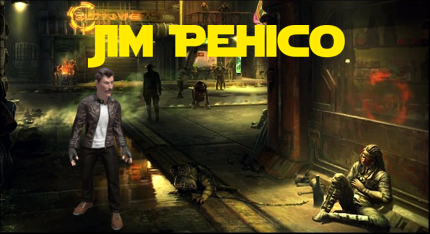 Jim looked closely at the said Raider. Why would a Tusken Raider be off Tatooine? It didn’t matter Jim had to do this. He used all of his focus to keep himself from blacking out. As the crowd watched surprised by the determination of the mustachioed miscreant. Jim refused to give up. “Blind Loyalty...” Jim said, spitting the blood from his mouth, trying his best to get the attention of the First Order Force User. Jim continued “Blind loyalty makes us no better than-“ suddenly from the back of the crowd came a stun-blast. Jim tumbled forward hard. A group of 3 First Order Stormtroopers appeared from the midst of the crowd. “Nothing to see here, move along or you will be prosecuted to the fullest extent of the law.” The one who had stunned Jim said to the citizens. Most of the crowd began disbanding, trying to keep in the good graces of the First Order. As the crowd began to thin A'Runda stood still watching what looked like injustice unfolding before him. Then anger began to build up inside the Tusken for the First Order that was before him. Although he was human, he knew that they were xenophobic bunch, and that included people like those in his clan that he held deeply. All this leading to the dark side energy building more and more, and here he was thinking the city was the greatest place he'd ever seen. Soon one of the soldiers took notice of him as he cleared away other bystanders. Clearly being a bit of an oddball for being a Tusken. "What are you still doing here raider?" The soldier asked approaching him. "I bet you can't even understand me you savage, but I said mo-" Right as the soldier went to shove him he was suddenly stopped. A'Runda had lifted his hand and held it in a "C" shape. He was force choking the soldier and keeping him back. The soldier coughed behind his helmet, and reached for his neck. "I'm not a savage!" He shouted before having him practically thrown to the ground. Having his helmet land first on the pavement before removing the Tusken removed his hold on him. After that the soldier coughed some more as he was able to breath. He groaned from the impact he'd just taken. "A Jedi!?" The other two asked before aiming their blasters at him. This should certainly get their attention. Edited by A'Runda, 12 January 2018 - 11:07 PM. Skye closed her eyes after she saw the man being Force-pushed into a wall. "You should have run", she sadly whispered to herself, because no-one else could hear it. It's wasn't that she didn't appreciate someone standing up for her, on the contrary, it gave her hope to see there were still people like this. However, even Skye had seen during the very rare occasions she was allowed to leave her own lonely training grounds and housing, she had learned that this kind of loyalty often granted you imprisonment or worse, and this man didn't deserve that at all. "Depends on the situation, don't you think? ", she replied with an innocent smile. "Or at least that's what you and your officers would say", she paused a bit as she gazed sharply into the woman's eyes. "Don't play dumb with me, I've seen officers secretly execute troopers who didn't do their jobs correctly", she replied with a hint of annoyance in her voice. "And those two that were guarding me, well... they didn't do their job correctly, did they?" Skye stayed silent for a bit, but didn't allow the woman to give an answer before she was finished herself. "And I don't exactly recall wanting to be one of you. I was taken, and I'm sure your superiors know that. As far as becoming one of you," her voice became softer and barely audible, "I'm still not sure, confused", she spoke as her voice calmed down. The annoyance and strength it originally had made place for confusion, uncertainty and weakness, her defense weakening, things which the other woman could surely play into and exploit. But then another figure made himself known and a small smile appeared on Skye's face. "Oh no, that doesn't sound good", she told Varas with a teasing voice. “The Ren hold no one against their will. If you do not have the drive or desire to be one of us, you’re nothing but a disposable piece of flimsiplast.” The Knight’s voice was steeped in disgust, her next noise a guttural snort. “You’re nothing more than a common criminal with a sprinkling off midichlorians that make you just a little bit special.” She wasn’t sure how biting Skye would find her insults, but it felt good to be the bearer of hostility, rather than the receiver as she was under Kyrel’s tutelage. The lightsaber blazed now, called to Varas’s hand by the Force and hummed. Since Skye was visibly unarmed, the brunette clone swung the crimson blade at the woman using the basics of Form I, raising her saber up to swing down in a vertical slash slightly angled towards her fragile neck. By this point the crowd had spread out much further, even though there were still bystanders, the First Order currently had bigger fish to fry. As the soldiers aimed their blasters A'Runda quickly held his hand up and pulled it back. Just then their blasters were forcefully yanked from their hands, sliding onto the ground past him. Now disarmed they grew fearful and stepped back. After that A'Runda grabbed his own saber and had it blazed as well. It was crude, and clearly improvised. The saber itself shined purple, but it crackled, and popped some as if it was malfunctioning. Perhaps his crystal was cracked. After she raised her saber he'd speak out once more. "I wouldn't do that if I were you. I think an unarmed women at your mercy should be the least of your problems now." He said, raising his light saber up, pointing it at her backside. He was sure his threat would put him in a world of trouble, but currently the dark side was getting the better of him. Skye scoffed. "Oh please, /you/ might not, but the Order does, and your little Knights know all about thát", she replied, clearly angered. Skye wanted to retort, but decided it was best to not play into the woman's hands and remained silent while the other threw insults her way. "He's innocent. Useless to you. Leave him", she commanded the brunette, a hint of anger in her voice. Skye couldn't help but feel guilty and responsible for whatever fate was coming for this man, and with that guilt, fear and anger, she tried once again to weaken the forces holding her in place. And to her surprise, she felt she came quite close, trying to push the brunette's control back, yet not close enough. She was untrained and no match for the woman standing in front of her. Her breathing quickened as the lightsaber ignited and was held above her head. Skye tried to move her head back, away from the lightsaber, but couldn't. The fear of death slowly tried to overwhelm Skye, but she managed to stay relatively calm. "I...I might die today, but I'll die because of my choices", she told the woman, her voice shaky yet determined. "You, however, you'll...," she thought for a bit, "you'll be killed by your own master, who you think cares so much about you. Or maybe by your current or future apprentice, who seeks even more power or recognition than you can give them", she gazed into the woman's eyes, hoping to see them being impacted by her words. "Point is, I'll die on my on terms, you'll just be betrayed. No-one will care for you. Eventually, you'll see"
Then her gaze flickered to the man disarming the troopers. She waited until he pointed his own lightsaber at the brunette's back before she chuckled and told her, "Your own death /might/ come even sooner than I anticipated"
Edited by Skye Achlys, 14 January 2018 - 10:05 AM. The girl would someday be good at Dun Moch, that much was certain. Her words filled Varas with such a rage that she screamed like a Dathormirian witch, and with the same strong telekinesis she used on Jim Pehico, flung Skye across the way to her companion. Varas could sense the lightsider nearby, but felt the need to correct the assumption that her teacher did not care for you. “My Master made me, schutta,” the brunette clone spat. “He cares for me as he does his most prized weapon. Emotion and reason have no place in my head over it.” Which was a blatant lie. Her relationship with Kyrel Ren was deeper and more complicated than anyone could even imagine or understand. And despite how unraveled she began to seem, but she spun on her heel with more grace than the gangly foal she used to be to confront this wayward sand person, saber held high. She took a step forward into an offensive Mashaki stance, the Tusken in her sights. Edited by Varas Kyrel, 14 January 2018 - 11:54 AM. A'Runda was no longer focused on the stormtroopers that were about to apprehend the two. Instead his attention was now focused on the brunette before him. Glad that she was now addressing him. She by now could probably sense the dark side of the force building up in him. His personal angers and frustrations getting to him in the moment. "Trust me miss, I'm probably not much more of a worthy opponent then those two. Sometimes I can barely get my own saber in my hands. But at least I can't be subject to such an unfair difference." The Tusken would then properly size up the opponent before him. He was only doing this was because of the lack of action taken between the bystanders. Perhaps he was ignorant to the norms of the galaxy, but in his clan that wouldn't fly by. After speaking to her he'd take a step back and hold his crude saber to him in a defensive pose. He was clearly at a disadvantage against her. He could barely use the force, he didn't even know of the different forms of light saber combat. Yet he'd do his best against her. Then he'd make an attempt to strike at her. Now stepping forwards he'd take a diagonal slash with his saber. As far as light saber combat he quite sloppy, but his effort had a heaviness and determination to it that could make him something to be reckoned with. Despite his ignorance with all of it. Jim was going in and out of consciousness. He watched the Tusken ignite his lightsaber, and he saw Skye get flung. Jim took out his commlink, which would give him access to his droid on his ship, R2-3Z. “Threasy, we’re gonna need a pick up at my coordinates.” Jim whispered into the commlink. The droid whistled back compliantly. The droid also let him know to expect him in around 5 minutes. If the droid didn’t hurry they’d be killed by the patrol of soldiers that were coming this way. Jim then took out his flask from his jacket pocket and finished off the liquor inside. Even with a concussion he is still an incredibly talented pilot, though he’s not sure he’d be able to outrun their Tie-fighters in his severely outdated ship, a G-9 Rigger-Class Light Freighter nicknamed “the Roska”. Though the ship was well maintained and modified and many of the parts were updated, it was still an old frame. Luckily he had recently bought a shield generator for the ship that would allow it to take several more hits than it would have before. Jim crawled over to Skye to see if she was ok.
Skye hit the ground hard, but not after she hit the wall harder. She coughed a few times while she laid on the ground, not too far from the man. "Tell yourself that when he leaves you to die", she muttered silently between grunts of pain. She wanted nothing more than to keep laying on the ground, because everything hurted after that woman threw her into this wall. But she couldn't, she had to keep trying. Not all was lost yet. While she turned her head to look at the man, she was relieved to she he was still alive, but she saw something else. An alleyway, a perfect place to hide for a while, disappear in or to set up an ambush. "You okay? ", she asked between coughs before nodding in the direction of the alley. It was a good option, however, the troopers would still cause a problem. At least that's what Skye thought, but when she turned on her back she saw the troopers, who were still frightened by the Tusken, and to her surprise, she caught them confused, their gazes flickering between the Tusken, herself and the man laying beside her, and their weapons, pulled from their hands not so long ago. She saw her opportunity. She sharply returned one of the trooper's gaze before she spoke to him, her voice surprisingly threatening, "Either you're going to get them, or I will." She followed it up by quickly getting up on her knees, biting back the pain, and pretending to go after the guns. Two of them, clearly the weaker ones, immediately turned tails and went for their weapons. Two was going to have to do. Then Skye froze when she heard the sound of running troopers from behind her, they were still a bit away, but they'd be here soon. Too soon. "We are the Face of War"
"Bzzt...fighting, section 13-NP...trouble...three, Knight...bzt...Ren..." The words had cut through the utter silence of patrol duty like a knife through warm butter. It had just been a regular day on patrol for Tempest, almost like any other. No action, save for the occasional telling directions to the tourists which he didn't particularly mind. Sure it was annoying, but at least it had given Temp something to do on what otherwise would've been a rather boring and uneventful day. Though, that was cut short when the static words had cut through the com and audio-receptors of Tempest as he had patrolled a street. The word's rekindled a flame in Tempest that had temporarily been silent and extinguished. Sure, he didn't really want to get involved and help a Knight of Ren. he wasn't a fan of force user's per say. Though, they were his allies so he was obligated to work with them. Tempest just hoped the situation wasn't too violent or chaotic, cause then there could be civilian casualties...something he didn't want in his mind at the moment or even at all. Even from this distance of a few yards, Tempest could tell that this situation hadn't gone as planned for the Knight of Ren. Two lightsabers shone amongst the chaotic fray, one of a crackled purple of rebellion, the other of a resolute red of order. Two other's laid against a wall. Tempest suspected that they had been thrown against the wall by the Knight of Ren. Speaking of the Ren, Tempest could've sworn he recognized her from somewhere. Ah, that's right. He recognized her from the Skirmish just weeks earlier. So, here they were again. Though it's not like she'd remember him, Temp believed that she wouldn't remember some 'faceless' trooper on the battlefield. THough, that wasn't important right now. What was important was stopping these escapees, or accomplishes. He didn't know who had escaped, and he didn't really care at the moment. All he knew was that he had to apprehend them. Though, there was the problem of the nearby civilians. They had to leave or they'd be injured, or worse, killed. "Citizens, disperse immediately. Allow the military personnel to handle this conflict without any of you being in harm's way," the voice of Tempest cackled metallically as it went through the voice modulator of his helmet. It worked, the citizen's began to disperse in a hurry, quickly leaving the scene of the conflict to where it was a few stormtroopers, the Knight of Ren, and the three other. Tempest was going to point his rifle towards the Tusken, though he decided to leave the Knight of Ren to deal with the Tusken. As for the other two on the ground...Temp pointed his rifle towards the two on the ground, his finger resting on the trigger. "Move, and I'll shoot you." Most of the hope that Skye had obtained not so long ago immediately vanished again when she heard the voice of another trooper, a new one. His arrival made Skye's little trick she played on the other troopers useless and her escape unlikely. She chuckled humourlessly and slightly tilted her head backwards, staring up at the sky. "Just how many puppets did the First Order send? Have to admit, I'm almost flattered", she commented dryly, yet her voice was clearly full of annoyance and disappointment. For a moment the thought of trying to talk him into losing his guard crossed her mind, but she quickly gave up the hope of confusing the amount of troopers there already were right now. She found herself unsure what to do, helpless- and she hated that. She gave the man beside her a questioning look, hoping he might have an idea. She expected it to be false hope, because she couldn't imagine a single possible way for them to get out of this. Yet, it wasn't in Skye's nature to give up. So, naturally, she started thinking ahead, planning. Maybe it would be best to just surrender and go along for now? Maybe an opportunity would present itself later on? But that would only work if the order was still to recapture her. It had been originally, with most troopers having their weapons on stun, but the brunette, currently facing the Tusken, did not seem to care much for that order. Or had it changed? Maybe they now wanted her dead; although Skye found that to be unlikely, it was possible. "I'll make you a deal," she started, fully aware she was in no position to negotiate whatsoever," if you let him go, if you just cut him loose and set him free- he is innocent after all-," she nodded to the man, "then I will come along peacefully, no tricks, no struggles, I'll play nice", she told him, before her eyes fell on the Tusken again. "Oh and you should also tell your little ball of uncontrolled emotions over there to leave that Tusken alone, he was just trying to stop any civilians from getting hurt, that's all"
She slightly turned her head to glimpse at the trooper. "Besides," she added, "think about the recognition you'd get for bringing me back in alive. Who knows? Maybe you'll even get a promotion? ", she grinned. Edited by Skye Achlys, 15 January 2018 - 04:02 PM. Section 13-NP was Oregano'a destination after only recently landing. All he knew was there was a Knight of Ren requesting assistance against three adversaries. With him coming along and making an appearance the situation should be doable. As Oregano strides even farther from where he landed his standard TIE Fighter supplied by the first order he checked his U-One wrist datapad that was attached to his left gauntlet which was part of the Armor of Ren set. He used this to find the proper location, however he could feel something in the force. He shook his head and broke out into a light jog so he could reach his destination quicker. It was rather obvious that he got the right place. Oregano saw a familiar face, Varas Kyrel was somebody he met previously. From there he saw two others which he assumed to be the two of the targets, however the third was a bit unusual. From what he knew he was a Tuskan, however he wielded a purple lightsaber. Perhaps he was even a Jedi? From there the last one was a Storm trooper, this only helped reassure the situation was under control. Oregano strutted towards the storm trooper and the two struggling targets with pace and immediately extended out his left hand towards Skye Achlys and attempted to cut off her breathing using the force, specifically a force choke. It was only to a degree that it would hurt for a moment as he soon let up. Oregano only started off with this to show his authority, perhaps even put fear into her, the one who seemed to be resisting the most besides the obvious lightsaber wielding Tuskan. "You, down. Don't think about trying anything, that goes for your friend too. Storm trooper.. FN... 2826, watch these two so they don't go anywhere." Oregano's tone was demanding and he spoke in quick sentences and phrases to attempt to show his dominance. Hope inspires rebellion, he wouldn't let them have any hope. After making sure this situation was under control he reached across his body with his right hand and gripped the lightsaber at his hip and I clipped it from his belt. Snap-hiss. Oregano trusted his arm down to his side powerfully as his lightsaber ignited, sprouting a crimson red blade of energy. With his attention on the tuskan raider he left the other two to the Stormtrooper. Oregano took upon the stance of Form IV Ataru, an aggressive form that was suitable against a single opponent. "Give up now and lay down your weapon. I will show no mercy otherwise."